Yesterday, time had come to say a final goodbye to our foundation mare EAMT Marihuana (BJ Thee Mustafa x E.A.M.T. El Melissa by El Perfecto). Marihuana was bred in Austria and we acquired her as a yearling in 2001. Maya des Alpes as a young filly. Gigi Grasso photo. Everything that we have accomplished with our breeding programme is because of her. 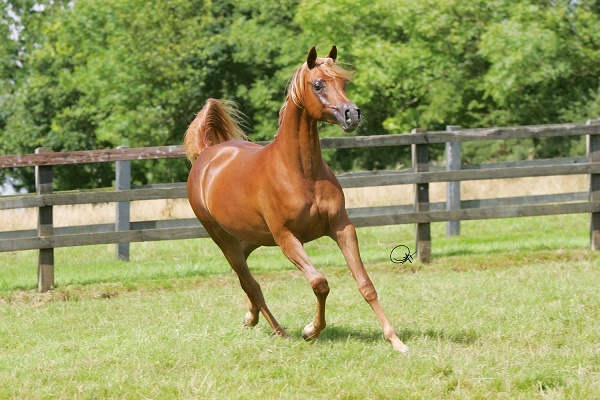 Her first foal was born in 2004, Maya des Alpes by Simeon Sadik (Asfour x Simeon Safanad). 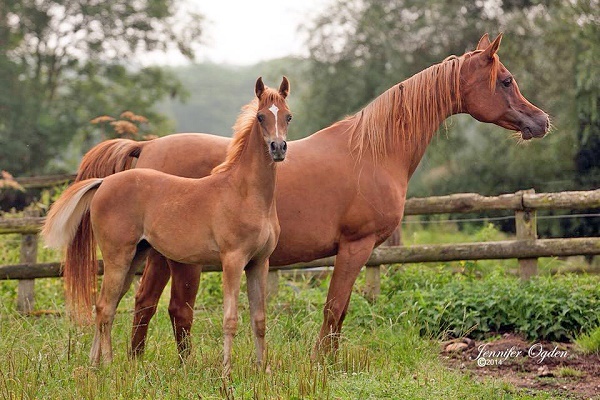 Marihuana has produced 11 foals, six fillies and five colts. Marihuana and her offspring have, over the years, accomplished more than 45 international championships. Maya des Alpes. Otto Berg photo. 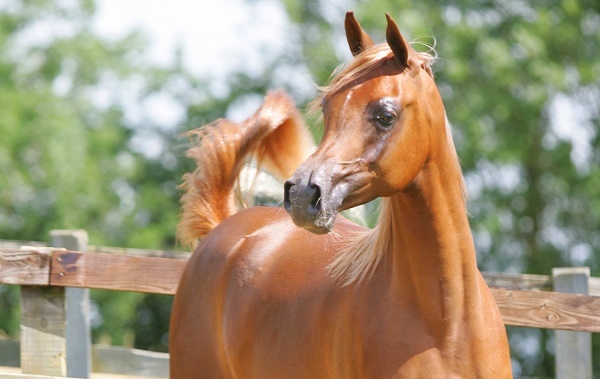 More important than the championships was Marihuana’s ability to reproduce the vital qualities that are essential to the Arabian horse breed – very good bodies, good necks, correct legs, pretty heads (not extreme), large eyes, fantastic movement and terrific attitudes. 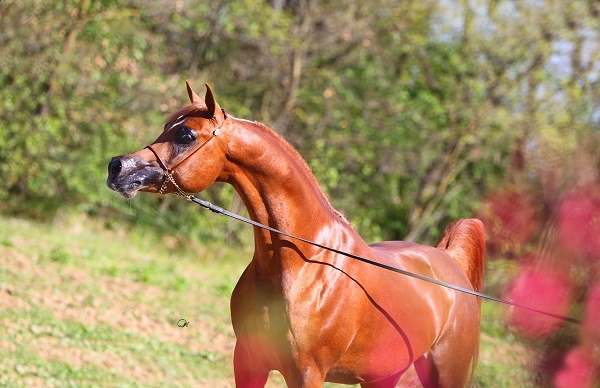 Her offspring such as Maya, Macho (by Padrons Psyche), Khansa Al Shaqab (by Marwan Al Shaqab), Mascot (by Marwan Al Shaqab), and second-generation Maestro (Marwan Al Shaqab x Maya des Alpes) all have set the crowds on fire by their spirit. Macho des Alpes. Sweet Photography photo. We have never had Marihuana at home. But somehow, we always felt that she knew us when we visited her in the UK. We are sincerely thankful to Chris Lowe and his family for the kind, respectful and professional way they took care of Marihuana and her offspring at their farm. Also, a thank you to Gerald Kurtz who insisted that we had to buy Marihuana in 2001, and to Shirley and Charlie Watts who kindly invited Marihuana to live on their farm in Devon for several years. Maya was born there. Mascot des Alpes. Gigi Grasso photo. Today Marihuana’s offspring are spread all over Europe and the Middle East. 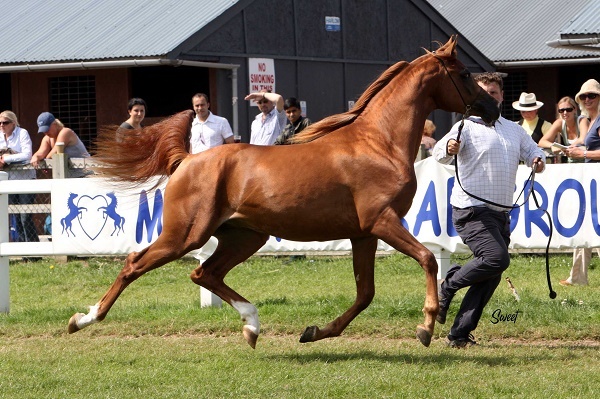 Owners in the UK, Sweden, Saudi Arabia, Qatar, Turkmenistan, and Israel have her blood in their breeding programmes. 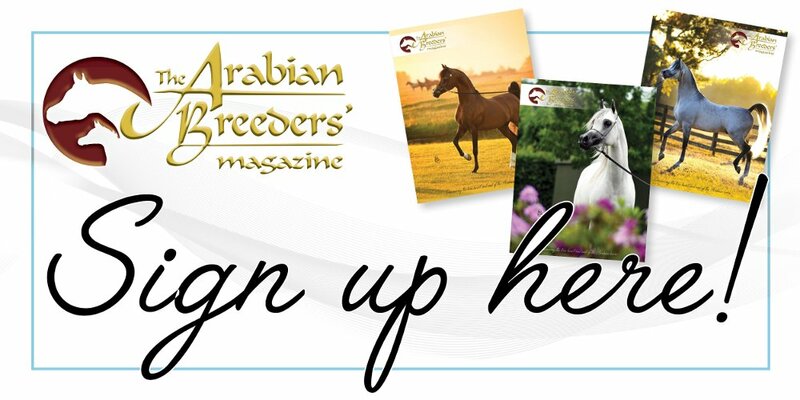 Anne-Lise and I wish them luck and progress, and hope that they will appreciate the qualities Marihuana has given to the Arabian Horse breeding. We will try to wipe the tears away and cherish all the good memories we have of this wonderful mare. It is with great sadness that we had to have EAMT Marihuana put to sleep. This queen of a mare has been a bedrock for Otto Berg and Anne-Lise Berg in their breeding programme for many years. Marihuana’s legacy is one that cannot be denounced. 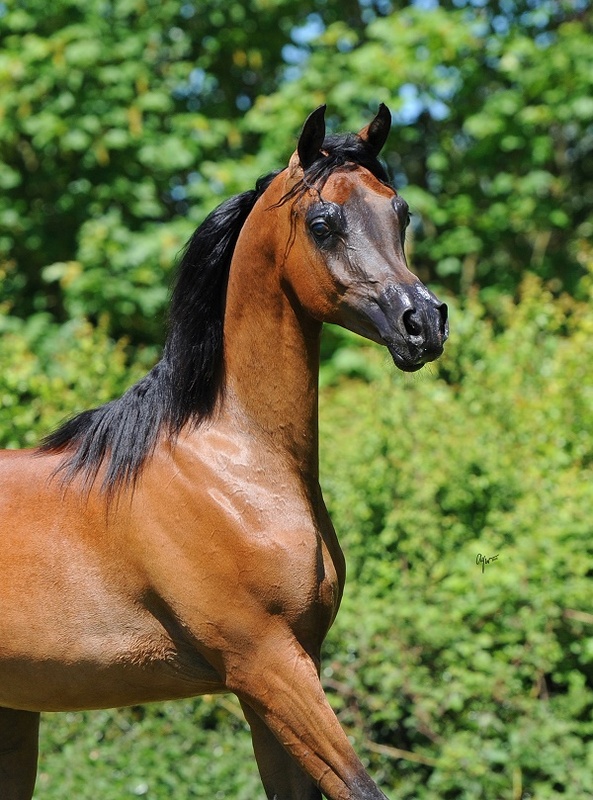 She has given birth to so many wonderful horses that have won title shows all over Europe and the Middle East. Her legacy will always continue through her children, her grandchildren and great-grandchildren. Maestro des Alpes. Gregor Aymar photo. Marihuana lived with us here at Claverdon for the past 10 years, and it has been an honour to be her caretaker for that period. She has given us so many memories over the years and it has broken our hearts that we have had to say good bye. I want to thank Otto and Anne-Lise for their trust in us for looking after her, and for letting me have her last foal. Dear Marihuana, you will be so missed but never be forgotten. Rest in peace my darling. The beautiful EAMT Marihuana. Jennifer Ogden photo.